Toronto Brewery Tours | Beer Lovers' Tour Co.
SPECIAL ON APRIL 27TH Toronto BEER TOUR! Toronto's original Beer Tour - now in its 20th Year! All-day, Premium "Old Toronto Beer Tour"
Our story begins in 1998 when we organized the first ever Beer Lovers' Tour of Europe. It was an amazing adventure, proving that beer, history and culture could together create an incredible travel experience. Two years later we launched Toronto's original craft beer tour, The Old Toronto Beer Tour. An award-winning experience -- much more than just brewery stops -- it has been running continuously with rave reviews ever since! Four fascinating brewery visits including the Steam Whistle Brewery set in a Railway Roundhouse; the Mill Street Beer Hall with its copper tanks; the original Izumi Sake Brewery plus the Amsterdam Brewery with their wide range of fine ales. You'll sample over 14 different styles during the day with a beer expert to guide you through the tasting experience. We like to say that beer brings people together and its true! You'll spend the day getting to know like-minded people and by the end of the day you'll be surrounded by friends. Enjoy a delicious charcuterie lunch, accompanied by fresh Steam Whistle Pilsner. 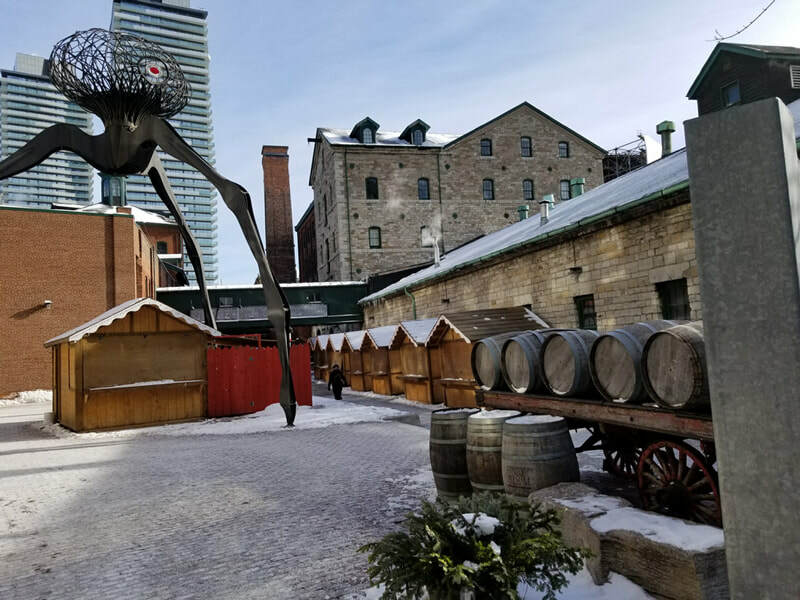 Not just a pub crawl, you'll enjoy site-seeing at historic sites like Fort York plus a guided tour of the Distillery District with its cobblestone streets. Not only will you learn about beer styles, you'll learn about Toronto's brewing heritage dating back to the 19th century. Climb on board our Beer School Bus for a one of a kind learning experience! You'll travel through "Old Toronto" from Corktown to the Distillery District and learn about Toronto's 19th c. brewing and distilling legacy and its 20th Century Craft Beer Renaissance. Our tour guides are professional guides uniquely qualified to entertain you with stories about "Old Toronto" and guide you with their extensive brewing expertise. Use Promo Code: APRIL2019 for our April 27th tour and get 10% off! 4-course Beer Dinner at the Granite Brewery available as a $50 add-on. Have a group of 10 or more? Book one of our regular 2019 dates and per person cost is only $124.99! Email us about our private group tour rates. 4 Toronto craft breweries - tours, talks & tastings. 15+ different styles of craft beer sampled during the day. Hosting by a professional craft beer & history expert. and Fort York where the story of Toronto's beer history began. The Old Toronto Beer Tour is ..."an amazing way to see the city!" and "The Best Gift Ever"!!!! Give a Beer Lovers' Tour! Customizable gift vouchers available for our Toronto Beer Tours. Your recipient picks a date of their choosing from our 2018 schedule! Private "Old Toronto Beer Tour" You pick date and time; we'll give you a reduced rate based on the number of participants. Email us for more! Company and client appreciation events. 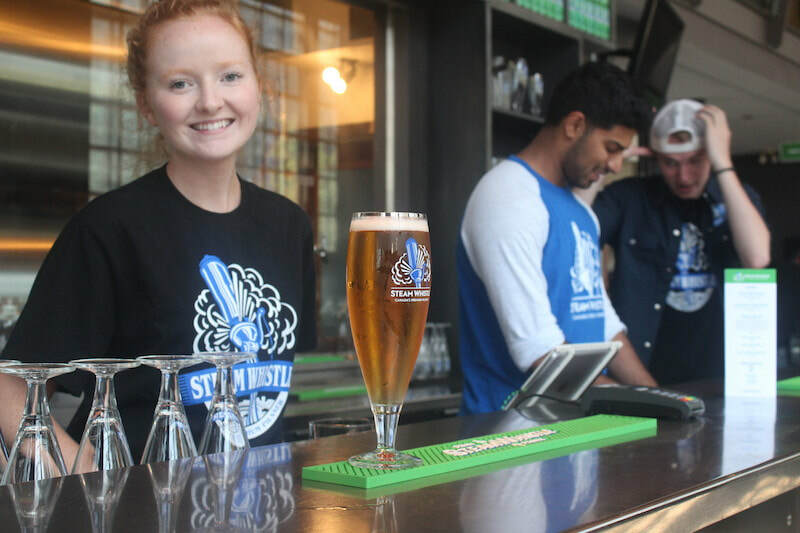 Toronto Beer themed events like our in-house "beer festival", a "Beer & Chocolate Tour of Toronto's Distillery District, or our "Toronto Rail & Ale Tour". Toronto Beer-tour themed Bachelorettes & Bachelor parties.